One colleague summed it up: “It’s open government, but it’s still ‘the government’. Indeed, Clement himself spoke about the challenges such a monumental shift will take. “One of the most obvious challenges in culture change … with social media there are no hierarchies,” he said. For government employees (and managers) who are used to working in an established bureaucratic framework of hierarchy, this new way of thinking is a monumental change. Clement started with the Treasury Board in Nov. 2011, and said he is moving the department ahead with a new system of doings. His department now has a network of internal blogs and wikis, and promised there will be more of these web-based tools. In an attempt to reach out to the public, Clement held the federal government’s first-ever Tweet chat in December on open government. The tweet chat was done in two one-hour segments, one in French and one in English. During the French tweet chat Clement’s team received 113 tweets to which the Minister replied directly to 21. The English chat had more traffic with 442 tweets and the Minister replying to 37 directly. This is one of the ways he wants to “engage our government to collaborate with solutions… and hear the wisdom from the crowd,” Clement said. Clement said that Canadian departments should be able to speak directly with Canadians, and that many public servants want to see a culture change where they are able to use social media and web 2.0 tools. But there has to be accountability and hierarchy, he added. But the government must allow folks to be on Twitter, to use social media. It can’t expect people to go to a coffee shop and Tweet wildly, and turn all this off when they come back into the office, he added. “Are we going to make some mistakes along the way? Probably, but we’re going to learn from it.” Clement said. The government’s web 2.0 guidelines, though lengthy, free civil servants from constraints, he argued. Without an understanding of the rules, employees feel constrained. Also part of Clement’s goal for transparency is posting summaries of FOI requests. Clement said he wants to open up government data to Canadians to bolster business and give citizens more of a say as to how government is run. The data.gc.ca project has 272,000 available datasets from different departments, and is expanding each month. On top of this, the CANSIM data from Statistics Canada is now available for free. One woman in the crowd noted that while Clement is moving to make more information available, it’s important not to forget the quality of the data. She pointed to the government’s decision to scrap the long-form data as an example of this. Clement defended the decision, and said that more Canadians filled out the National Household Survey than the traditional long-form census. One person commented to Clement that the datasets, which run across thousands of pages including public service survey results, aren’t always cross-departmental. He found there were often barriers when trying to find a dataset that came from different government departments. “We want to open dialogue to give Canadian citizens more of a say,” Clement said. Clement told the Third Tuesday audience he is looking to crowd source on a couple of pilot projects, and if anyone saw an opportunity to pass it along. Here’s the thing that stuck with me as Clement spoke. He is clearly motivated to make this happen, and his Treasury Board might be the right place to start. But opening up a government seems a Herculean task. I’d think it would take more than one canoe paddle to turn this ship around (regardless of how good a paddler Clement is). Clement’s first challenge is to get everyone, from civil servants to Prime Minister Stephen Harper, to put a paddle in the water. I am sorry, but I have a real credibility issue with Mr. Clement on this. Open government? After that slush fund security G20 nonsense in his riding? Mr. Clement as a key member of the most secretive PMO-dominated government in years? The government that now wants free access to all of our digital information to go on whatever fishing trips they see fit? Tell me you’re kidding me. Were they serving special KoolAid? 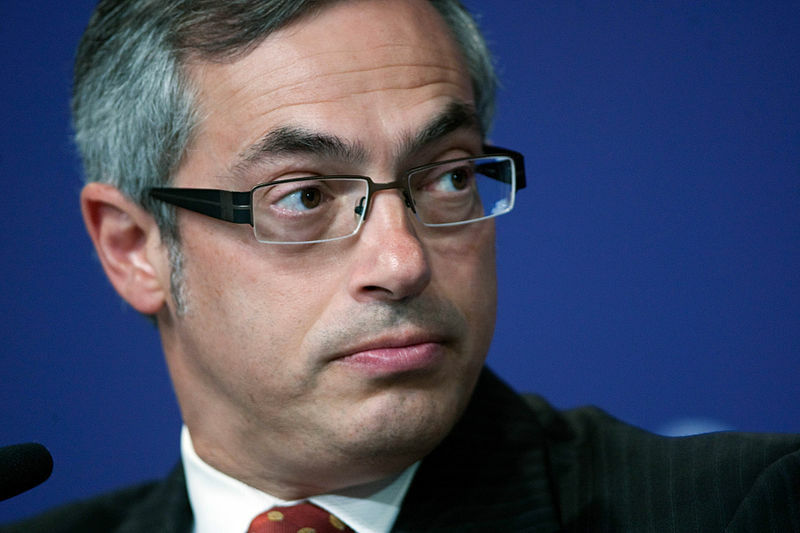 It’s hilarious that Tony Clement, who is has yet to own up to a $50 million G8 spending scandal, is tasked with bringing openness to the federal government. Going back to the 2006 election, the Harper government campaigned on the issue of accountability as the Liberals were embroiled in a sponsorship scandal. According to a new report from Democracy Watch, the Harper government’s promises were greatly exaggerated. Some examples of the Harper government’s lack of openness include 18 appointments to a still unelected, unaccountable Senate, and ongoing secrecy about Afghan detainee documents. While Clement paints a picture where he’s an outsider trying to bring accountability to government, he actually has no claim to the principles of open government and accountability. Its an affront to the open government movement.